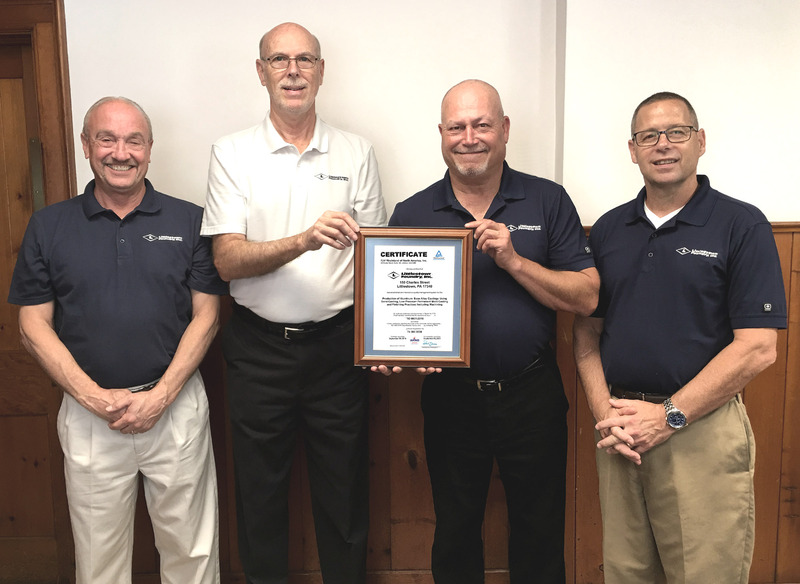 Littlestown Foundry, Inc. is proud to announce their advancement to ISO Certification level 9001:2015. This internationally recognized system features standards for ensuring that the management system, manufacturing process and documentation are of high quality and are being continuously improved. ISO 9001:2015 deals with eight primary principles: Customer focus, leadership, people involvement, process approach, system approach to management, continual improvement, factual approach to decision making and mutually beneficial supplier relationships. 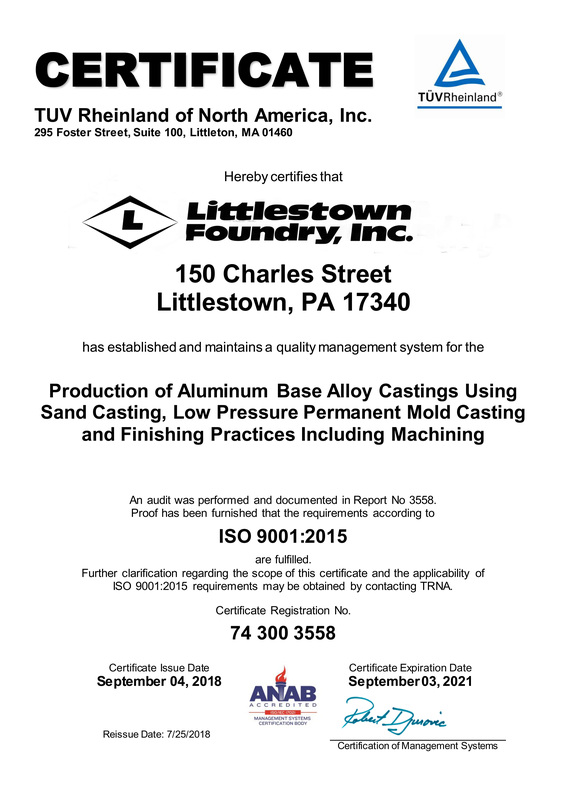 Initially ISO certified in 2003, Littlestown Foundry, Inc. is an aluminum foundry that is recognized for its skilled employees safely producing the highest quality aluminum castings for the electrical, industrial hose, fire-fighting equipment and many other industries. They celebrated their 100th year in business in 2016.